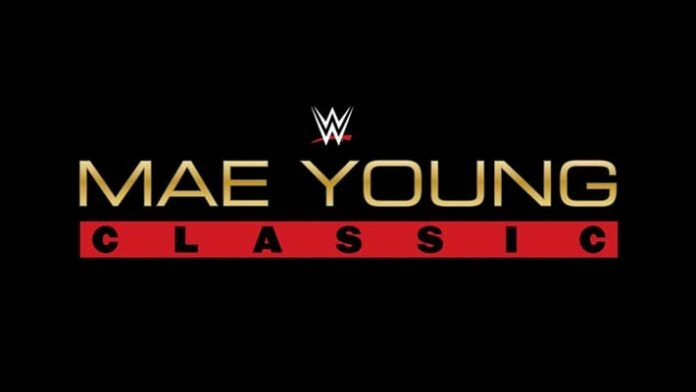 On Thursday, WWE sent in word that five additional competitors have been announced for the upcoming Mae Young Classic Women’s tournament. Among the participants is Tessa Blanchard, daughter of WWE Hall of Famer and Four Horseman Tully Blanchard. The anticipation for WWE’s inaugural Mae Young Classic continues to grow with the announcement of five more entrants into the tournament, as first reported by ESPN.com. Third-generation wrestler Tessa Blanchard, hard-hitting veteran Abbey Laith, black-belt judoka Taynara Conti, international bruiser Jazzy Gabert and Great Khali protégé Kavita Devi are the latest additions to the Classic, which streams this summer, exclusively on WWE Network. They will join Toni Storm, Princesa Sugehit, Lacey Evans and Sarah Logan, who were announced last week for the 32-woman tournament. Twenty-one-year-old Tessa Blanchard, of Charlotte, N.C., may be new to the WWE Universe, but her last name isn’t. The daughter of WWE Hall of Famer and Four Horseman Tully Blanchard, granddaughter of wrestler-turned-promoter Joe Blanchard, and stepdaughter of NWA legend Magnum TA, Tessa decided to follow in the family trade after watching her father’s Hall of Fame induction in 2012. Abbey Laith grew up admiring revolutionaries like Lita, Chyna and Ivory, but the WWE Performance Center standout — renowned for her strikes and suplexes — will have a chance to break new ground of her own in this summer’s Classic. Coming to wrestling with an extensive background in dance, particularly ballet, Laith began training for the ring while working toward a bachelor’s degree in dance education from the University of the Arts in Philadelphia. Laith, who counts WWE Cruiserweight Drew Gulak as one of her original coaches, developed into wrestling royalty on the independent scene. She captured titles in SHIMMER Women Athletes and Shine Wrestling and became the only woman to hold the Chikara Grand Championship before joining the Performance Center earlier this year. A newcomer to sports-entertainment, 22-year-old judo master Taynara Conti might be one of the Classic’s least-seasoned wrestlers inside the ring. However, the Performance Center recruit isn’t lacking world-class combat-sport experience. Conti spent years honing her martial arts skills in her native Brazil, eventually being promoted to black belt in judo and blue belt in jiu-jitsu. She competed in the 2016 Olympic trials in judo, and though Conti narrowly missed the cut, her thunderous throws helped put her on the radar of WWE talent scouts. Having trained under WWE coaches since last October, Conti will get her first chance at The Mae Young Classic to show the world what happens when a decorated judoka enters the ring. Representing Germany in the Classic is Jazzy Gabert, a muscle-packed, 6-foot-1 brawler who has wrestled internationally for more than 15 years. A strongwoman and professional MMA fighter outside the ring, the bruising Berliner has achieved her greatest success in Europe and Japan. Gabert is a multi-time champion in Japan’s Stardom organization, and she is currently a women’s champion for groups in Germany and Switzerland. In MMA, she has fought under the banners of the Rizin Fighting Federation and IFO Europe. Kavita Devi is a powerhouse student of former World Champion The Great Khali. Hailing from Jind, Haryana, India, the 5-foot-9 Devi is a top competitor in Khali’s Punjab-based organization, Continental Wrestling Entertainment. She gained the attention of WWE talent scouts at a tryout this past April in Dubai. Devi was an accomplished kabaddi player in high school and is also a competitive powerlifter. In 2016, she won gold in the 75 kg weightlifting division at the South Asian Games. Inside the ring, Devi has racked up victories using a head-caving roundhouse kick. Visit WWE.com for more on the upcoming Mae Young Classic tournament.